Whomp ‘Em looks great. The enemy designs are fun and varied, while some of them even move smoothly in interesting ways – check out the floating hands in some of the vertically oriented portions. 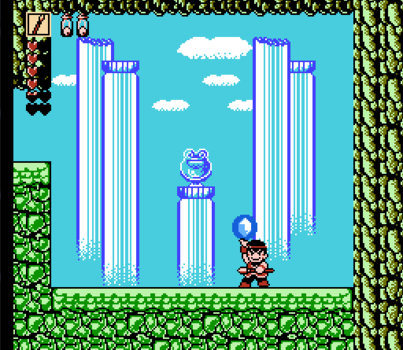 The levels are lush with colors, but better graphical signals could have been used, such as with the bizarre “electric” clouds on the final stage. Also, this game does suffer from some flickering. The pixel artists was skilled, but the execution was not quite fully polished. For instance, that jump animation looks super weird. The actual batting screen is fine, just fine. As a baseball simulator, those intense pitch-by-pitch at-bats are well-done, and seem to be fine-tuned to a mechanical science by Culture Brain. It is a shame, really, that the fielding is done so poorly, then. When placed head-to-head next to other baseball titles, most of them will shine as being an obvious improvement in the field. 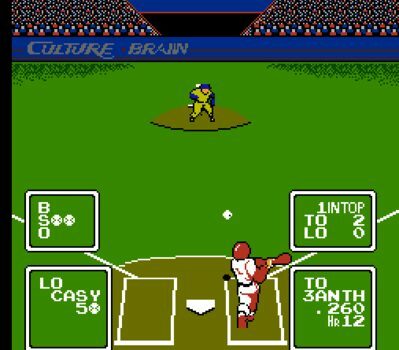 However, the real strike against Baseball Simulator 1.000 is that even a new NES player can tell that fielding is wonky, without necessarily any prior baseball-game experience. 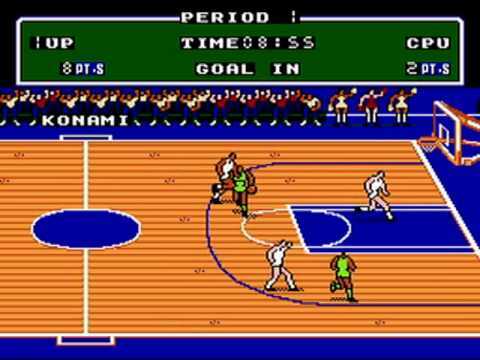 Finally, one of the most awkward options screens in gaming history is found: Settings such as period length, team, and difficulty level can be altered, but with each button press, rather than simply and instantly scroll through the available selections, an on-screen player actually fires a jump shot at a rim that aligns with the intended option. This makes for an overly tedious selection process, which would be bearable if it were not for the already drawn-out effect of the opening ceremonies screen. The first mistake this side-scrolling, two-dimensional (not even the third dimension of being able to walk into the “depth” closer to the background, but purely left and right or up and down) beat-’em-up is that the A button attacks and the B button jumps, which is not only in reverse from the legendarySuper Mario Bros. original NES game that set the golden standard, but also serves as a stark reminder as to what camp this cartridge belongs to: The crappy one with all the terrible games. 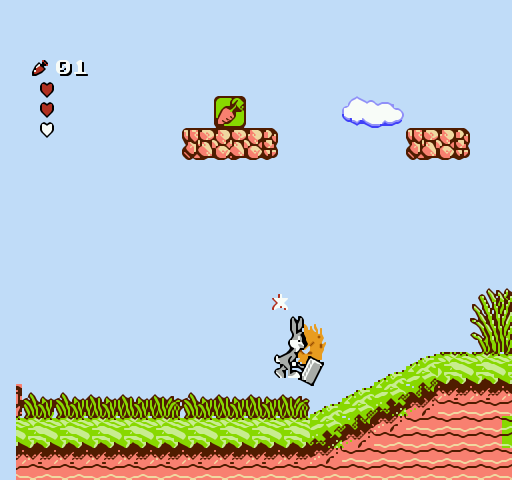 The control is fairly tight, and Bugs is able to jump pretty high, which only makes sense for a rabbit in a cartoon world. 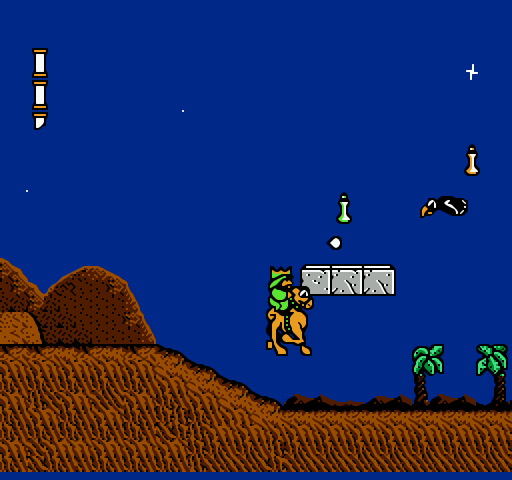 There are some enemies he can jump onto and stand on without taking damage, and he can collect carrot icons for points. 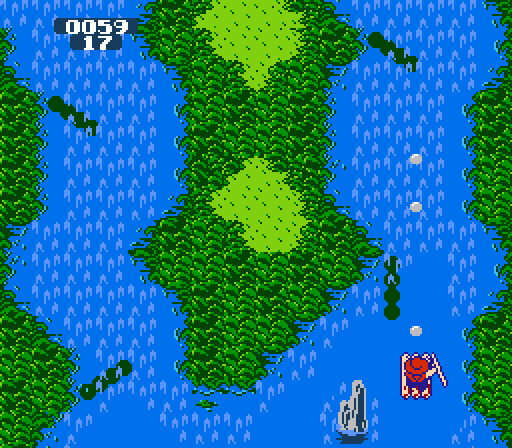 The end of each stage is a boss battle with another one of the Looney Tunes line-up, though this almost always just consists of the character moving back and forth, possibly also jumping, all in a regular pattern Bugs must merely avoid and counter with mallet attacks. 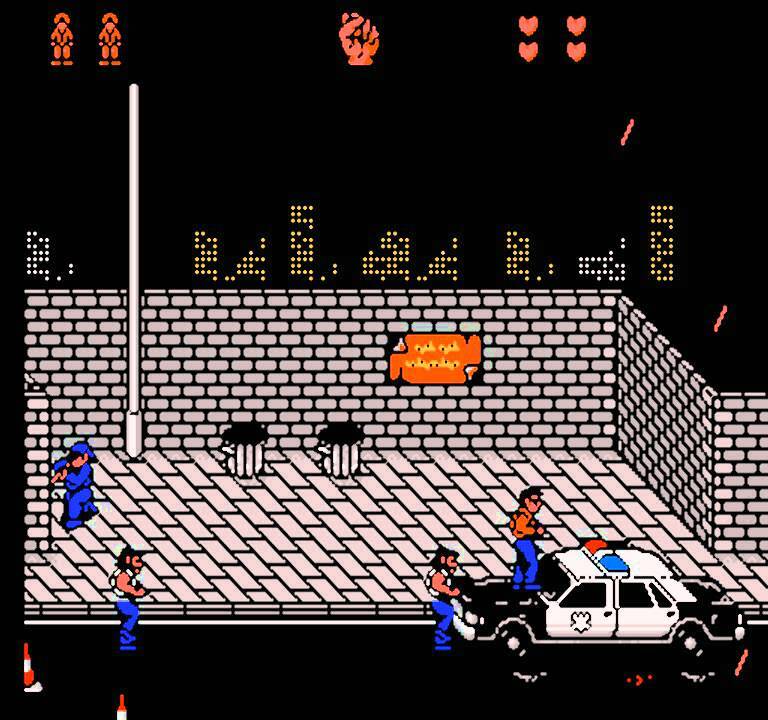 The only exceptions are minor character traits like that Yosemite Sam fires his pistols at Bugs, or that Foghorn Leghorn is big and invincible so you must beat Henery Hen instead. Aside from the black-and-white flaws and strengths, there are a few elements that must be judged on a player-by-player basis. The foremost example may be the level-up system. As the player slaughters creatures and kills people, an experience bar increases, until filling up and gaining a level, which grants a couple more ticks on the health bar. This is an intriguing way of going about things, but later in the same, enemies are doing more damage, while the health pick-ups (a potion) still merely heal a minuscule amount. This discrepancy is questionable, even if nitpicky. 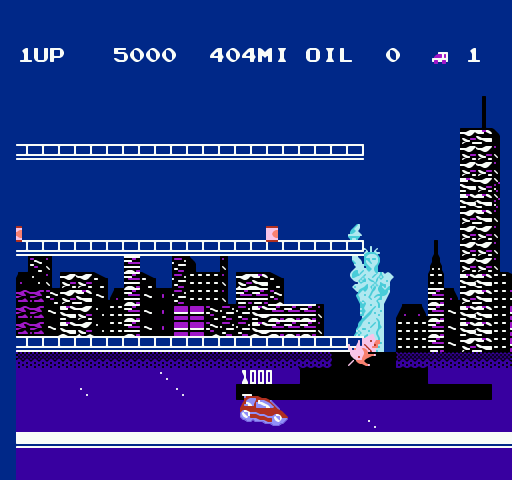 This title boasts the usual high-quality Konami effects, many of them recognizable from their library of other NES games (try the Start/pause button in the Teenage Mutant Ninja Turtles cartridges, or notice the explosion sound of the defeated bosses), along with good background music in place for appropriate ambiance. The skillful renditions reflect painstaking attempt at optimizing what the hardware had to offer, and results in an action-oriented, multi-layered beat throughout. Bible Buffet is a hybrid game that forms a juxtaposition between the board game category and the overhead adventure games as well. With up to four human players (someone can even play alone if they wish to undergo the quest solo), each person sets out across a board with a rather lengthy track, over 100 spaces. A six-sided die is rolled to determine how far a player moves their token on their turn, with certain spots enabling a shortcut forward several spaces, a bonus roll, or even losing a turn. 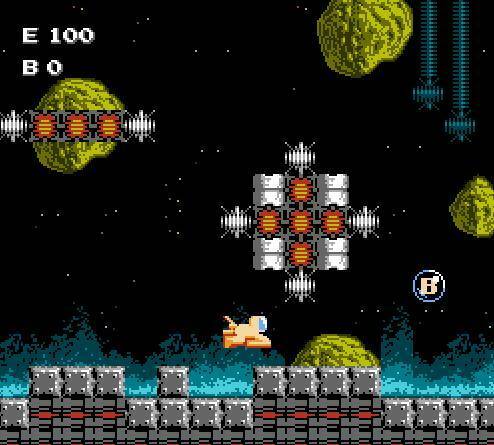 In those latter halves, the player goes into a multi-directional scrolling platform environment that takes place in the Air Fortress itself. 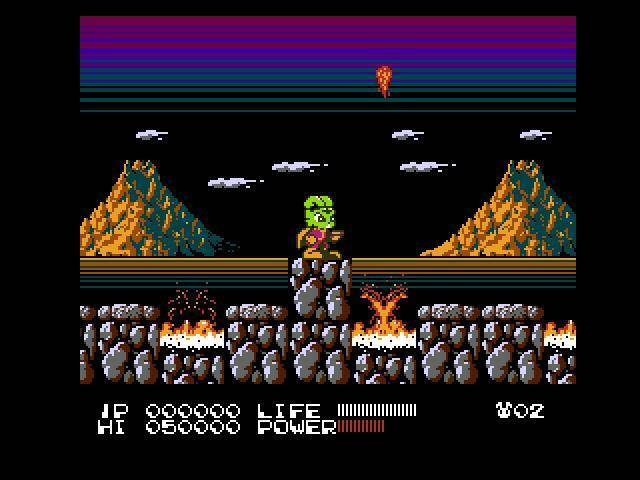 Firing a laser pistol with the A button, or those oh-so-powerful and limited Bombs with the B button, the player must venture further into the depths of the Fortress. There are many sorts of enemies, ranging from free-roving dive bombers to stationary platform guns, for the player to conquer, along with precision-movement puzzles and occasional timing challenges. Yet play proceeds without major issues. Even if some parts are annoying, it is rare to feel truly helpless. The ability to duck is a niceand very necessary touch, even if Sawyer can do little else but climb ladders and grab the occasional helpful pelican or red balloon. 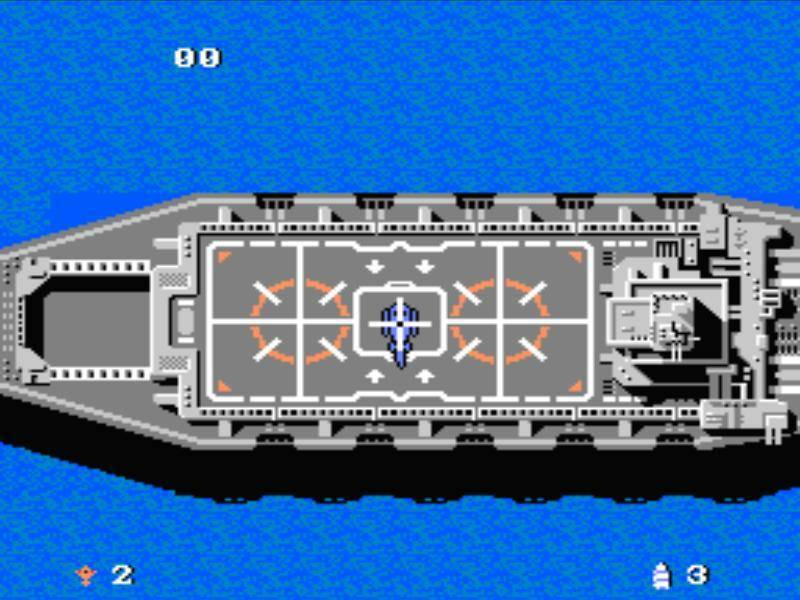 The boss fight with the enormous zeppelin is a visual spectacle, yet other levels display drab one-color backgrounds. 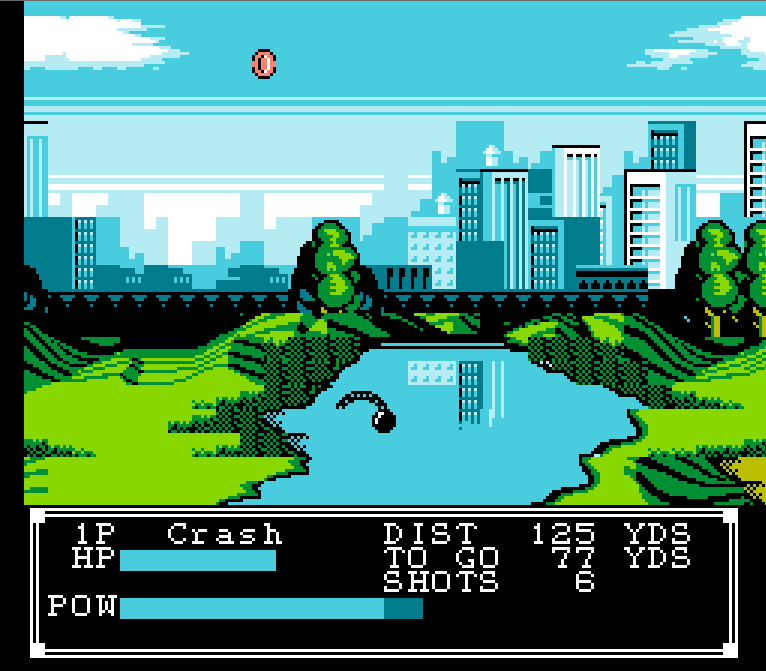 There is minimal flickering or slowdown, but the scrolling is a bit odd in some particular sections, when the screen pauses the action to take a moment to catch up with Sawyer’s movement. Some of the stage designs are questionable. 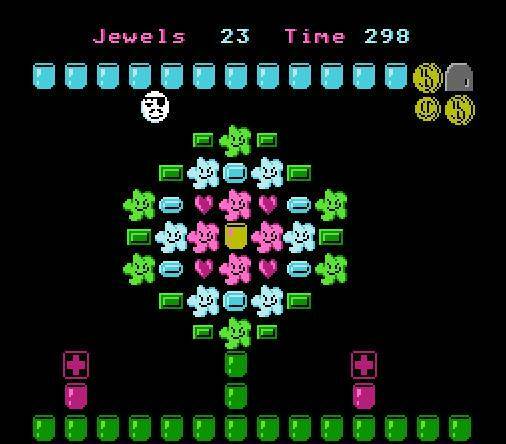 Among Let’s Players and others, the final level has gained notoriety for being rather difficult and just plain cheap. 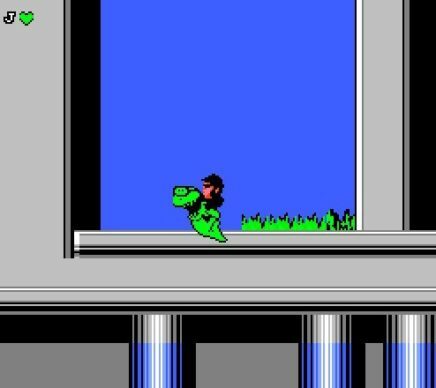 These design errors are evident elsewhere, though: Several areas force the player to make blind jumps, which is hardly ever fun. At least the player can aim the spear downward, likely helping the cause in these cases. There still remain, though, a few spots in which it is tough to tell which elements are mere background and which are needed platforms, along with dubious practices in enemy regeneration. Twin Cobra does not have the most polished presentation, but it definitely offers a challenge that makes hearty demands on a player’s reflexes and flight tactics. Fans of the genre will enjoy discovering the absolute to-the-pixel limits of the chopper’s hit box, while casual players may be intrigued by the sheer amount of action on the screen at any given moment. There are even boss fights to contend with. 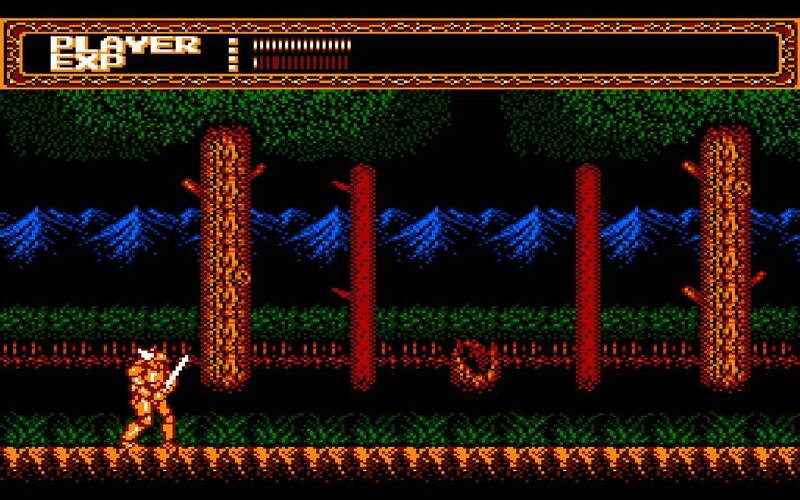 Better than the plainest of shooters but not quite as refined in its quality as the better titles, Twin Cobra is quite decent, and will be fancied by some while ignored by others. In Jesus and the Temple, the player actually controls characters on foot, alternating between Joseph and Mary per level. 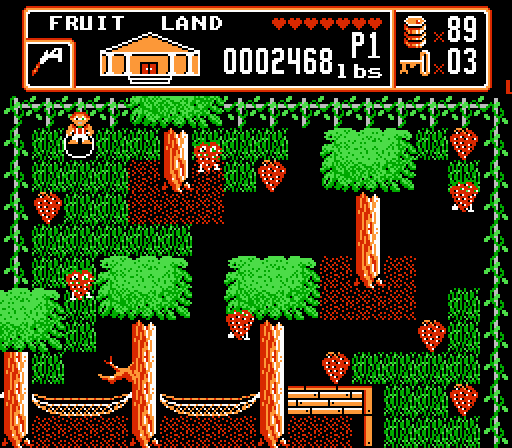 With gameplay mechanics most akin to the Bible Adventures game, precision-jumping challenges are back, including classic logs-on-a-waterfall bits, ala Super Mario Bros. 2. Once again, wild animals are on the prowl as well, even little frogs. The point is, Joseph and Mary are traversing through this levels in order to find twelve-year-old Jesus, who has gone missing; just as in the Biblical account, he has left his parents to go teach in the temple with great insight.